From blushing brides to manic maids of honour, the energy at the 2018 Kamloops Bridal fair was undeniably exciting! 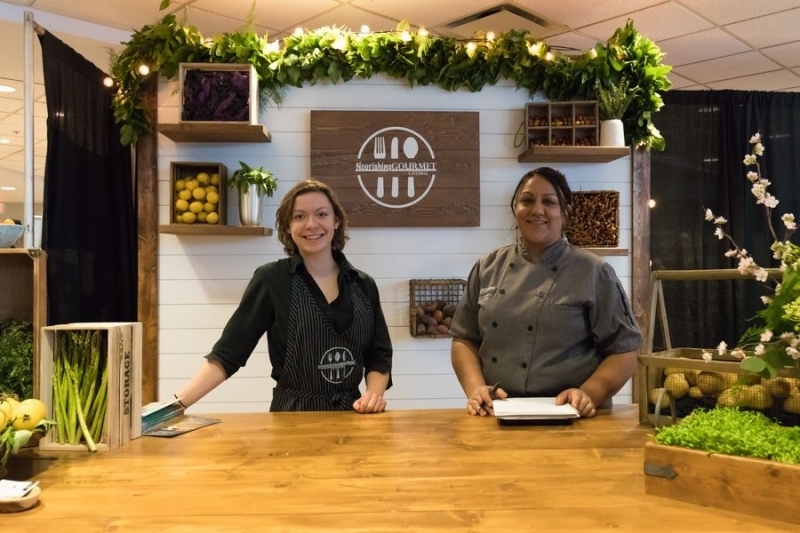 With over 60 vendors, a full fashion show and giveaways galore, attendees of the event - including our Nourishing Gourmet Catering staff in attendance - were transported to a wedding dream world. Nourishing Gourmet Catering was proudly in attendance at the TRU Conference Centre, ensuring all the soon-to-be Mr & Mrs’ were fed. Events like these really get us excited because it gives us the opportunity to share our catering ideas with an entire room of prospective and current clients. 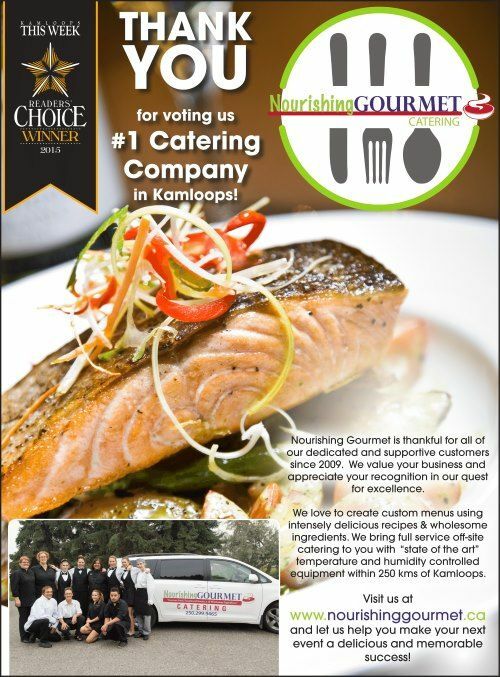 Needless to say, we are looking forward to another exciting wedding season in Kamloops! At the event, we featured examples of our local organic produce that we use in our wedding catering. We also featured some of the wooden elements that are currently trending as the perfect canvas for our beautiful food displays. 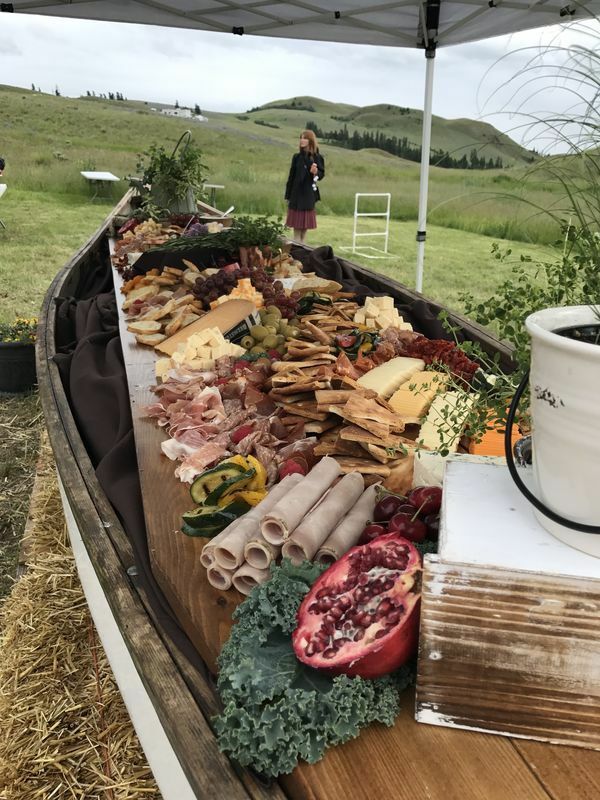 We like to use things like wine barrels & wooden tabletops to create rustic yet modern displays of charcuterie and antipasto - perfect as appetizers prior to a main meal! 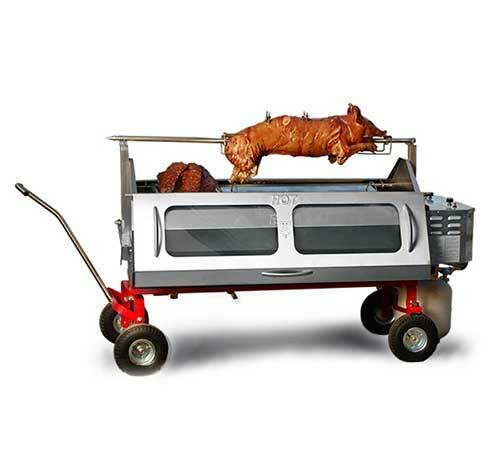 Chef Sameena Sandhu likes to use an 8 foot table top as a giant platter for her “food-scapes,” covering the entire surface with meats, cheeses, pickles, olives, dried fruits, herbs, nuts, dips, crackers and breads. Our Backdrop and table top combinations can also be used as a unique outdoor food station, serving any one of your favorites - liquor bars, shooter stations, taco bars, fondue stations and a variety of fruit & veggie displays. Surrounding it with hay bales, or other rustic seating, can create ambiance and a cozy place for your guests to gather & chat on your special day.